Welcome to Education Services for Blind and Visually Impaired Children (ESBVIC), a statewide service of Catholic Charities Maine. We provide assessment, instruction, and consultation to blind and visually impaired children birth through 20, their parents, and school personnel. We provide services throughout the state to children who have a visual impairment that has been diagnosed by a licensed qualified optometrist or ophthalmologist at no cost to individuals or local school districts. Most of our funding comes through a contract with Maine’s Division for the Blind and Visually Impaired (DBVI). We process all applications for educational services for blind and visually impaired children, including Orientation and Mobility (O&M) services that are commonly provided through DBVI. ESBVIC employs 17 certified Teachers for the Visually Impaired (TVIs) throughout the state of Maine. 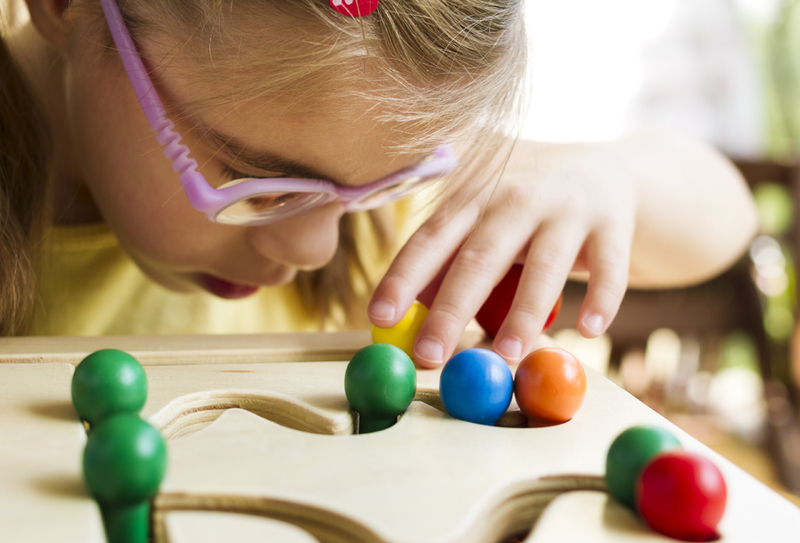 We provide direct and/or consultative services to children and their educational teams regarding the impact of visual impairment on the child’s educational program. The first step upon completion of the attached packet requesting TVI services is a Functional Vision Evaluation and a review of the child’s Learning Media to inform the team of the impact of the visual impairment on learning. Once that evaluation is complete the TVI will present recommendations for the team to consider regarding appropriate accommodations and services needed for the child. Children with visual impairment often require deliberate teaching of concepts that are learned incidentally by children without a visual impairment. The TVI can assist the family and educational team by providing teaching strategies. The TVI can also assist in providing information concerning the impact of vision on development for those children in early intervention programs. Orientation and Mobility training (O & M) helps a blind or visually impaired individual know where they are in space and where they want to go (orientation). It also helps the individual to be able to carry out a plan to get there (mobility). Orientation and mobility skills begin to develop in infancy starting with basic body awareness and movement, and continuing on into adulthood as the individual learns skills that allow them to navigate their world efficiently, effectively, and safely. Please note: We must receive the medical eye information prior to any student visit. If you do not have an eye report, ESBVIC will request the report as long as we have the release. Please make sure all releases are signed and submitted with application.